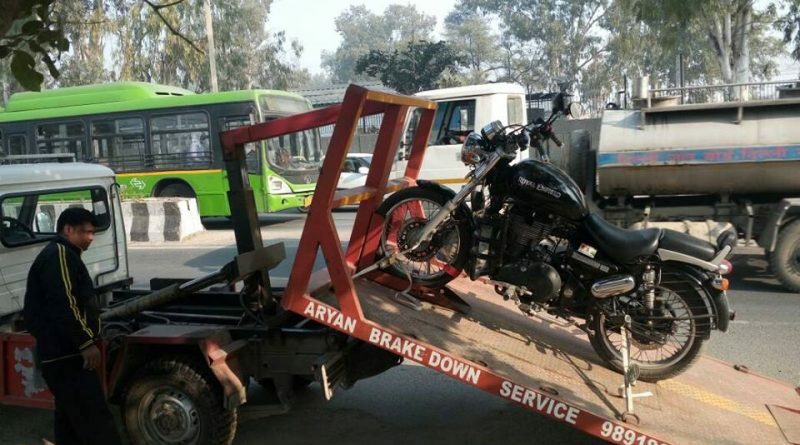 Plight of Royal Enfield Thunderbird from Outer Delhi Motorcycles! My name is Lakshya Gupta, I am from New Delhi, INDIA. I was very fond of riding bike so finally the day came on 18th JUNE, 2017, I bought Royal Enfield Thunderbird 500 Flicker (DL 9S BJ 6728) from Outer Delhi Showroom ( Najafgarh), Delhi. I used to regularly commute to my office (70) kms up and down with this bike. 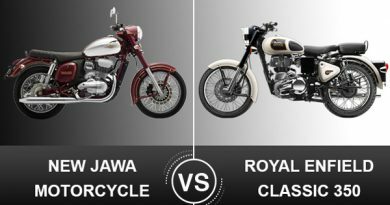 I am writing this mail complaining about the Services provided by your authorized service center Outer Delhi Royal Enfield Service Center, Najafgarh, from where the bike has been serviced regularly. I am compelled to send this email after being subject to victim of poor service and callous attitude of the Service Center and the harassment to which I have been subject to for the last six months. This is a fit case for replacement of bike/refund of money and compensation for the physical and mental harassment at the hand of your service center. 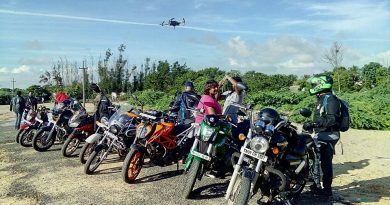 Problems started from the day I bought my Royal Enfield Thunderbird. On the very first day I brought to the notice of the Showroom staff the rear mudguard which was tilted to a great extent. I was assured that within a week it will be replaced. But I got my rear mudguard replaced in December, 2017, after 6 months with regular persuasion. The main problem started after first service done after 700 kms within a week. After first service severe oil leakage form head started which I complained and gave the Royal Enfield Thunderbird to service center to solve the issue and they handed over the bike to me after 1 day saying now problem is resolved. But the problem was still there and thereafter, the head of bike was opened 3 times to resolve the issue for which I had to leave the bike at service center each time and had to go to my office by cab or bus which is very difficult as it takes 2 hrs 30 mins in bus, and cab takes minimum Rs 400 to my office. After 3rd service, head leakage problem was resolved but extensive noise was still there. In this process they broke the outer fin part of my bikes head that is for cooling. After 2nd service on this noise increased and I had to take my Royal Enfield Thunderbird to service centre for the same issue two more times. The Head was opened as told by service centre. So in total till now 5 times the Head was already opened. And total 7 times my bike was at service centre in 3 months. After 3rd service problems increased to a level that bike is standing in service centre from 15 December 2017 till date. After 3rd service my bike stopped suddenly and I had to call road assistance. That person came after 2.5 hrs of long waiting. Finally he opened the bike and found the fuse was burnt up to such an extent that it would have taken around 10 to 15 days to burn upto this extent (pics attached). Even Spark plug was not cleaned. This is just two days later (22 nov 2017) after the 3rd service(20 nov 2017). This is beyond imagination how the spark plug was not cleaned and fuse box was burnt and they didn’t check it. Even your official page says to check the fuse in 3rd service. Now I was in oblivion as to what to do. So I had to take my bike back home by foot as road assistant for towing was asking for another 2 hrs. That person of road assistant mechanic told battery is discharged and also fuse issue so I got a new battery and was thinking of taking bike to service center the next day because that day of mine was wasted. The next day as I was heading for service center from office, the bike finally stopped so I was stuck Road assistant was asking 2hrs again to be available and I said yes, I again called for confirmation after 1 hr and still they were asking for 2 hrs 30 mins. It was now 11:00 PM. So I refused and told them to come in morning. 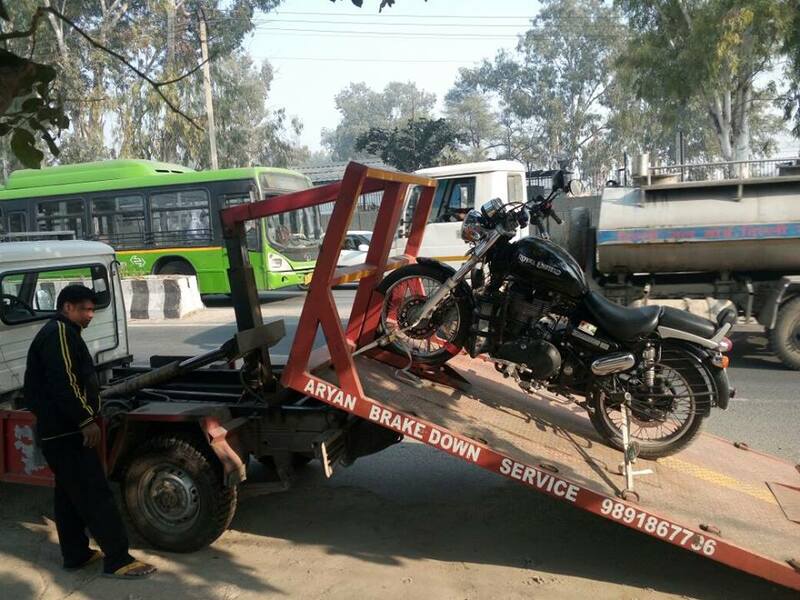 I parked my Royal Enfield Thunderbird at some friend nearby in night and next morning I again called road side assistance which towed it to nearest service center that was Sony Service Center Mangolpuri, because he refused to go to Najafgarh service center. There somehow they corrected the issue and told to take bike to Najafgarh Service Center and get the wiring replaced. For several days I called the Najafgarh Service center but the Center was not confirming for wiring change. After few days they called again and agreed for wiring replacement and rear mudguard replacement which was issue I had when I purchased my bile so it took 6 months for a single mudguard replacement. Now I took my bike to service center on 15 th December 2017. And I have to take a leave again for the same and was told that bike will be given the same day. I stayed there for over six hours so that I could see if everything was happening in front of me. As they put the bike on bay and hydraulic table was coming up, I noticed under tank fuel pump was pasted with some fluid and when they took out the tank for wiring replacement one injector sensor, what they told, was also broken and pasted with elfy. “ I HAVE NEVER TAKEN MY BIKE FOR REPAIR/SERVICE OUTSIDE AUTHORIZED SERVICE CENTER FOR ANY ISSUE. ONLY ONCE IT WENT TO SONY RE Authorized SERVICE CENTER ELSE Every TIME IT WAS TAKEN TO OUTER DELHI CENTER NAJAGFAGARH SAME PLACE I BOUGHT MY BIKE. My bikes Head was again having issue so they again opened it for the same. 6 times head opened. The bike is still at the same service Center. Is it some fun play or what. These guys have changed wiring and rear mudguard but not accepting to change fuel pump and that injector sensor. From past Friday 15 DECEMBER my bike is at service centre. Till 21 DECEMBER I was told I will get my bike with every part replaced. Now they are telling that we have not done this thing other service center might have done it and Najafgarh service center is asking for time till Tuesday and says, that they will tell whether they will replace or not that to just the fuel pump no the other sensor part which he says he will not replace that. I m not a fool waiting and waiting for these guys to reply. So I am stuck in between 2 service centers, neither of them accepts the fault. Head of my new bike was opened 6 times till now and these many problems are there. Now I doubt whether I was provided with a new or used bike. 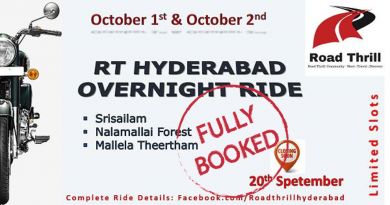 I am one of the admin of one of biggest riding groups in INDIA 10 chapters all over around 3000 riders, most of them are Royal Enfield Customers. I don’t want to spoil Royal Enfield Name as it is the service centers fault. Please help me or I will definitely do the needful. I want one of these things or I will go to consumer court. 1. Return bike with all damaged parts including head replaced. 3. I want my money back. Shall be thankful for urgent intervention in the matter. Hoping for immediate resolution of the problem.